It’s almost time for Thanksgiving! I don’t know about you but it snuck up on me this year. This weekend I started my planning and grocery list, and I decided to write out my full menu in this post. Not only will this help me get prepared, but I hope it helps someone visualize what a vegetarian thanksgiving menu can look like! Whether it’s your first vegetarian thanksgiving or you are a seasoned veteran, I hope you read along and let me know if you have any tips for me too! I have already shared a post including 17 of the best vegetarian thanksgiving recipes, but today I am sharing what is actually on my menu this year! 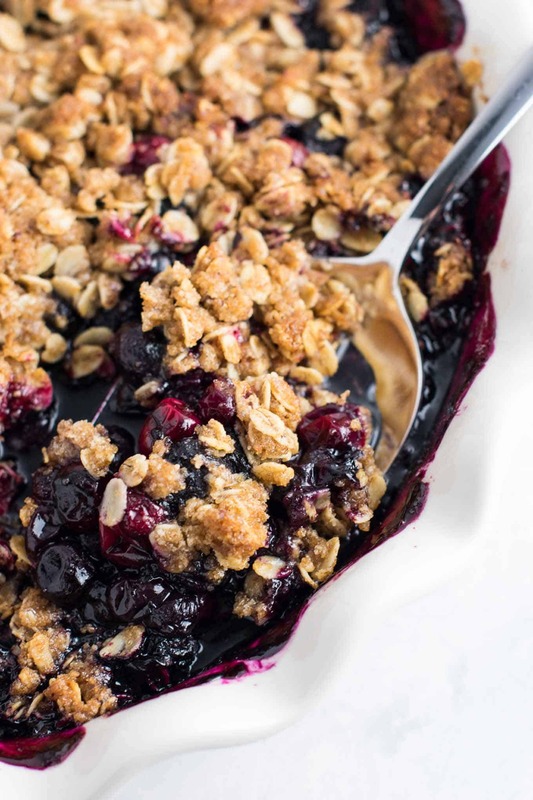 This is a full list, and I am including all of the links to the recipes I use, as well as a few others that we include every year. I hope you find some vegetarian thanksgiving inspiration! 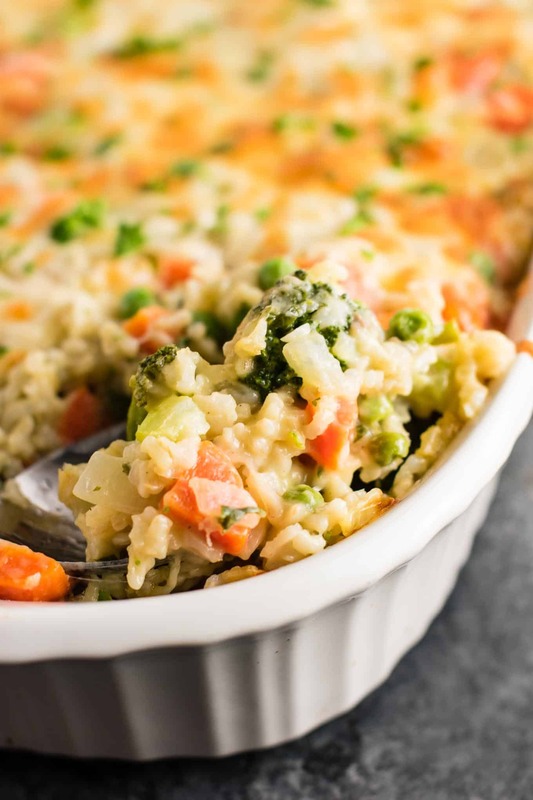 If you have a family favorite recipe, please share it in the comments below! 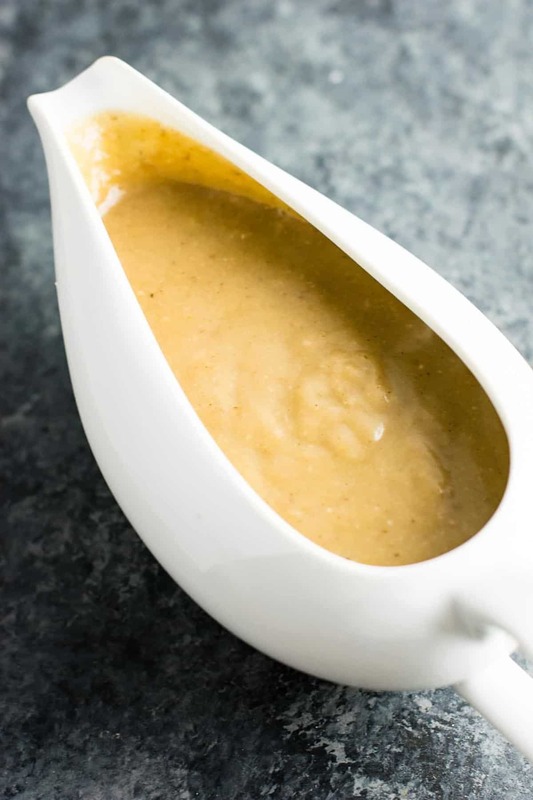 I do not joke when I say this is the BEST gravy you will ever taste! 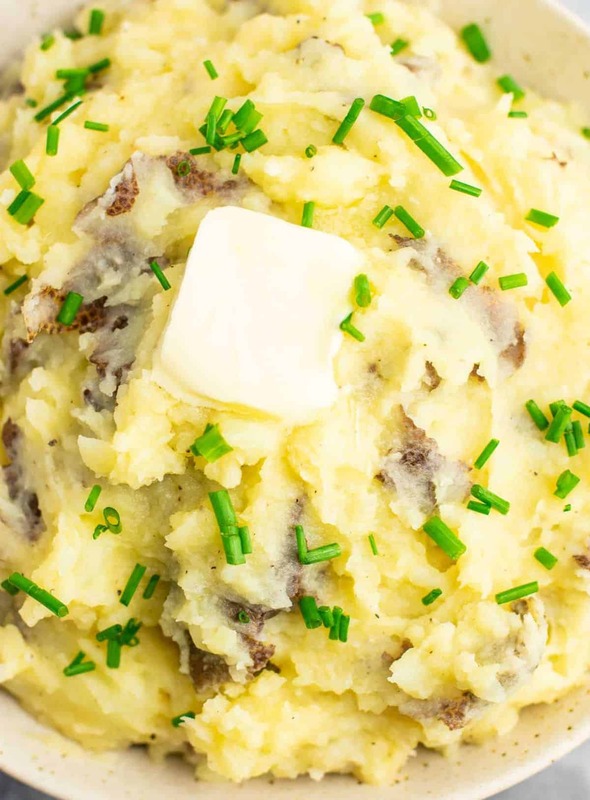 Thanksgiving would not be the same without this generously over mashed potatoes, stuffing, and more! Last year, I made my mac and cheese on the stove, then transferred to a slow cooker to keep warm. It was delicious but took FOREVER and added even more cleanup. 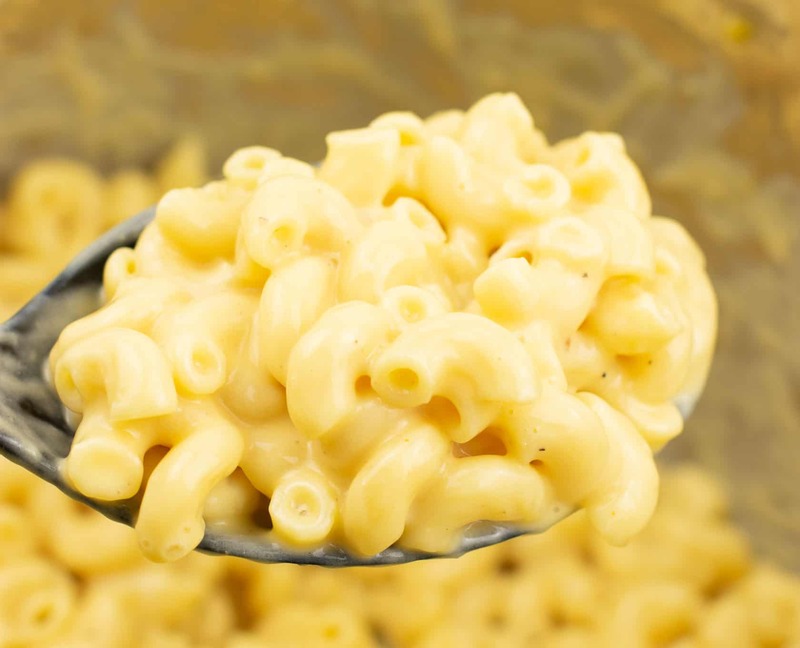 This year I am making this instant pot mac and cheese which is ready in less than 15 minutes and cooks itself. 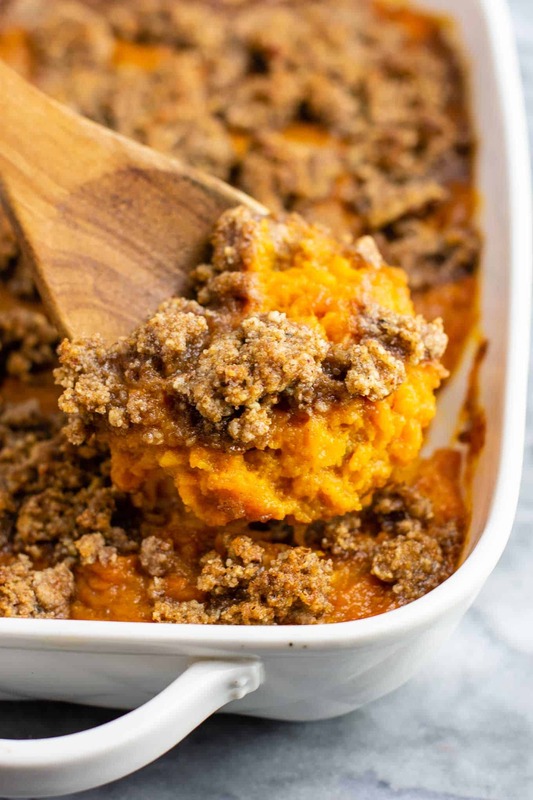 It wouldn’t be Thanksgiving without a big scoop of this sweet potato casserole with salty sweet pecan crumble. Time saving tip: boil your sweet potatoes the day before, then store in the fridge until you are ready to make your casserole on Thanksgiving day. 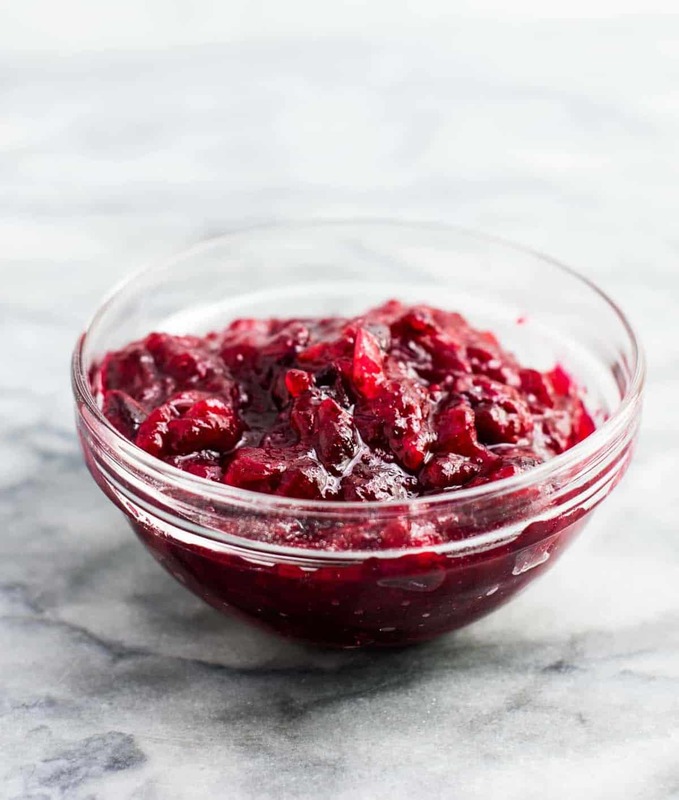 Cranberry sauce is a must have, and it doesn’t get any easier or more delicious than this homemade recipe! I make this the day before to save on time! If you don’t need to worry about dairy, just use real butter! 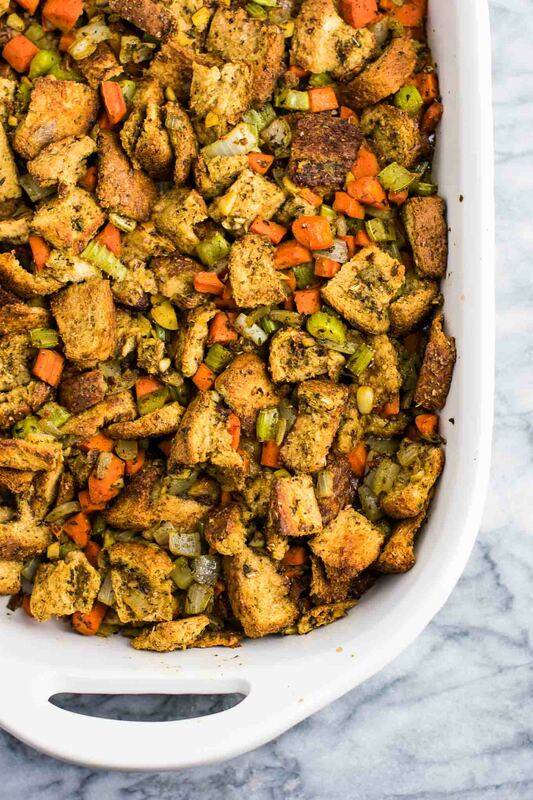 The best stuffing you will ever eat – vegan or not! I created this recipe four years ago and have made it every year since. After trying several vegetarian “turkey” options (some so bad we could not even eat them), we found the perfect one! I have found it at Kroger and Walmart, Walmart being cheaper. 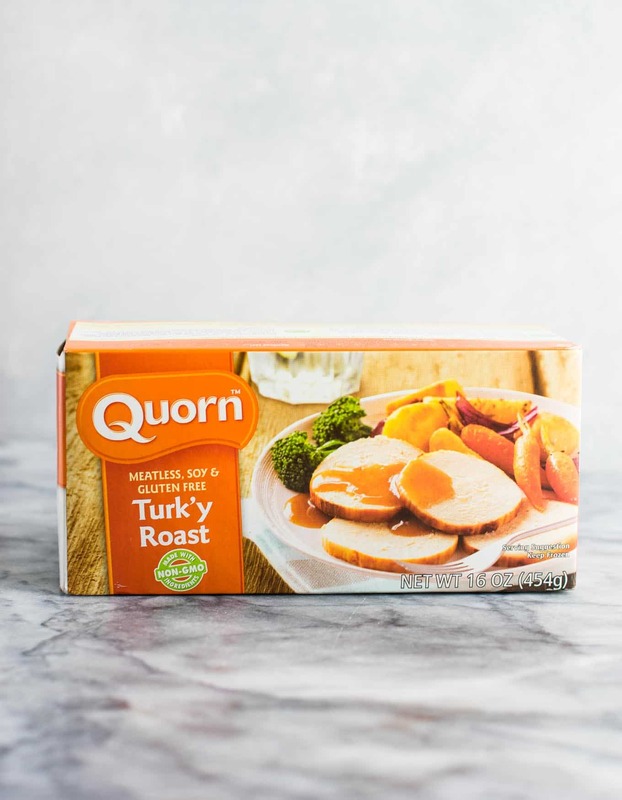 This tastes so much like turkey I had some confused omnivore guests – haha! My husband loves having this as a meat for Thanksgiving, even though we definitely focus more on the sides! No photo for this one, as it’s an old family recipe on my husband’s side. I had never heard of it myself, but now I love it! We make it every year. Basically canned pineapple chunks, topped with cheddar cheese and crushed ritz crackers with melted butter. Have you tried it?! I love hearing other people’s traditional Thanksgiving recipes. Corn might not sound like a Thanksgiving tradition, but it is for me. 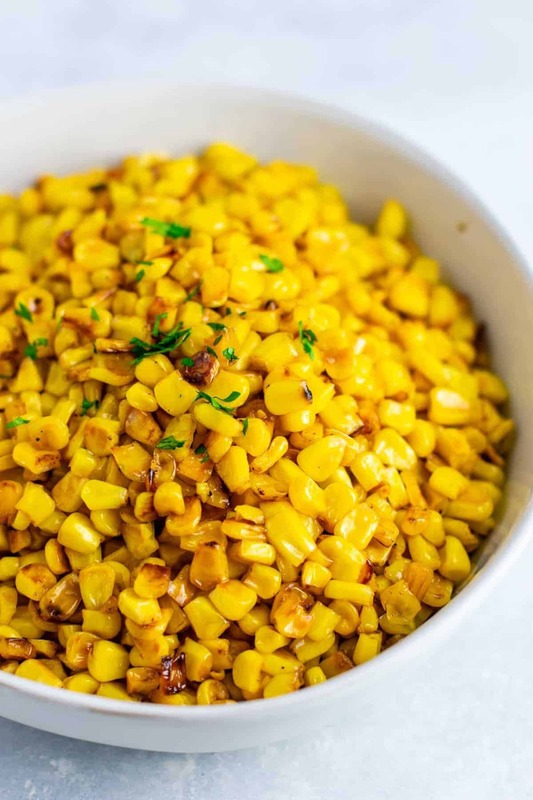 Right now I’m craving a big bite of skillet corn mixed with stuffing, gravy, and mashed potatoes! I started this tradition last year, and I’m going to keep it around! 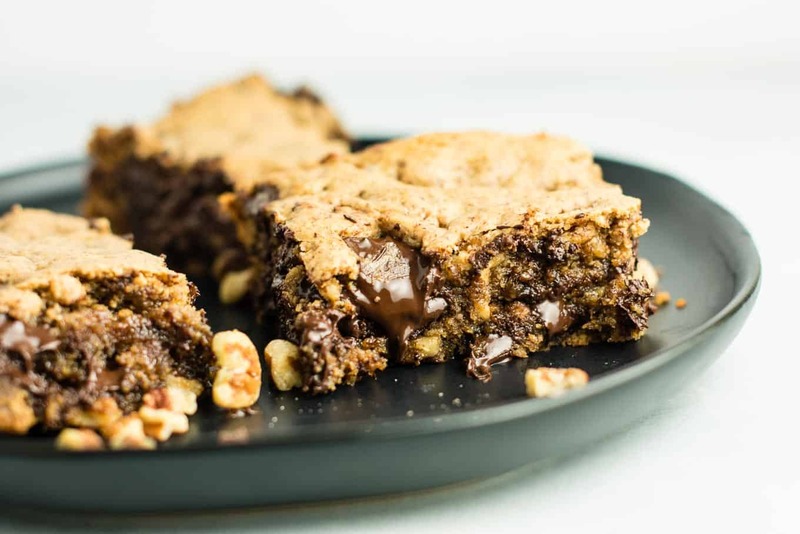 I love pecans around the holidays, so these chocolate pecan cookie bars are a fun and yummy untraditional Thanksgiving dessert! Anyone who doesn’t like pie would appreciate having these as a choice. This is not a recipe I make for my own Thanksgiving, but I make it every year for my extended family’s Thanksgiving dinner. Every time I make it there are no leftovers! We love making this every year, but I don’t have a homemade recipe. I just do what most do – canned french cut green beans mixed with cream of mushroom soup and topped with french fried onions. If I think of it, I throw in a handful or two of fresh grated sharp cheddar in with the filling! I make this each year for the extended family Thanksgiving dinner. Gluten free, vegan, and tastes incredible. Rolls are a necessity at Thanksgiving, but I don’t make them myself. My favorite is Sister Schubert’s brand, either the big individual ones, or the pan of mini rolls. Homemade rolls would be undoubtedly more delicious, but I have never tried making them! Do you have a favorite homemade roll recipe? Let me know! 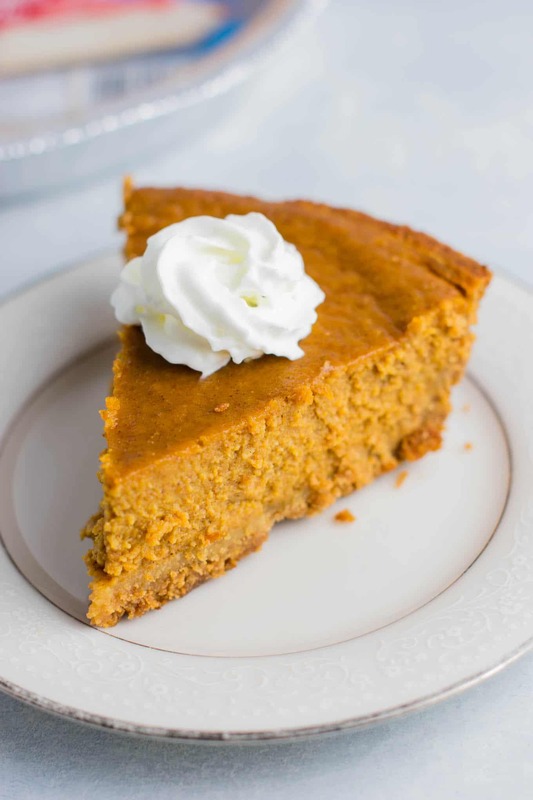 It isn’t a proper Thanksgiving without a pumpkin pie, and I make mine gluten free so that my gluten free guest can eat it. Everyone else can enjoy it too! That’s it for my vegetarian thanksgiving menu! That’s everything I have planned this year! I would love to hear from you guys. Will you be celebrating at home or with family out of town?